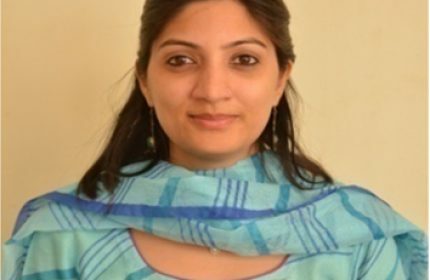 Dr. Prerna Sharma did her M.A., PhD from Punjab University Chandigarh and M.phil clinical psychology from Govt. Medical College and hospital, Chandigarh. She did her palliative care training for technically ill patients from Tata MEMORIAL Hospital Mumbai. She worked as psycho oncologist in Medanta Cancer Institute, Medicity, Gurgoan. She has worked on research project on “Epidemiological study of Untreated Psychiatric Population in Community and Impact on Caregivers” under ministry of Health and Family welfare. She has also worked as supportive supervisor for counselors at Global Fund to fight AIDS, TB, and Malaria counseling program under NACO. She is a trained hypnotherapist under society of Clinical and Experimental Hypnosis, India. She has been in private practice since 2013 in Mumbai and Gurgoan.